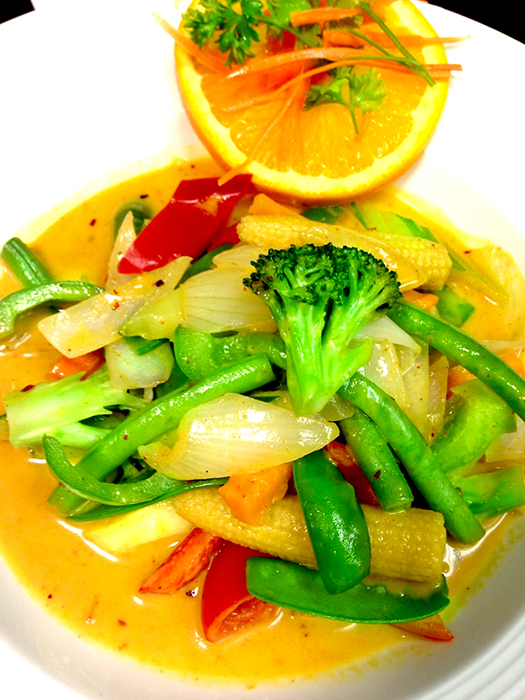 Sautéed salmon chunks with snow peas, green beans, mushrooms, bell peppers in red curry sauce. 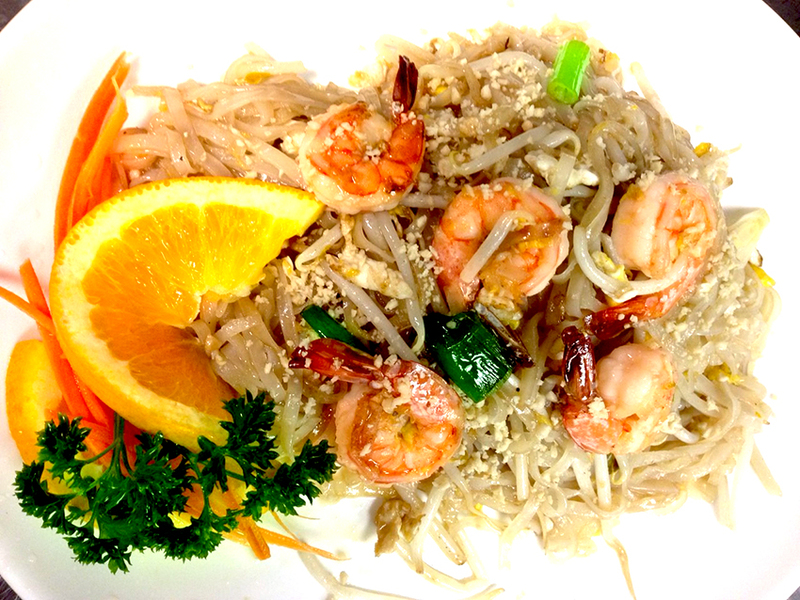 Tender shrimp sautéed with roasted cashew nuts, onions, mushrooms, snow peas, celery and scallions in mouthwatering honey lemon sauce. Sautéed onions, red and green pepper, mushrooms with shrimp, scallops, and squid in spicy Thai basil sauce. 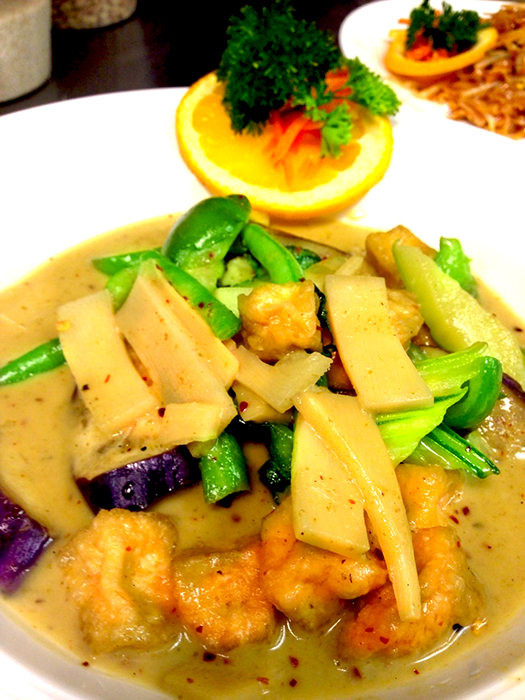 A combination of shrimp, scallops and squid sauteed with assorted fresh vegetables in house special Brown sauce. Shimps sauteed with bell pepper, onions, mushrooms, scallions and garlic. Thin-sliced Japanese eggplant sauteed with scallops and basil in brown garlic soy sauce. 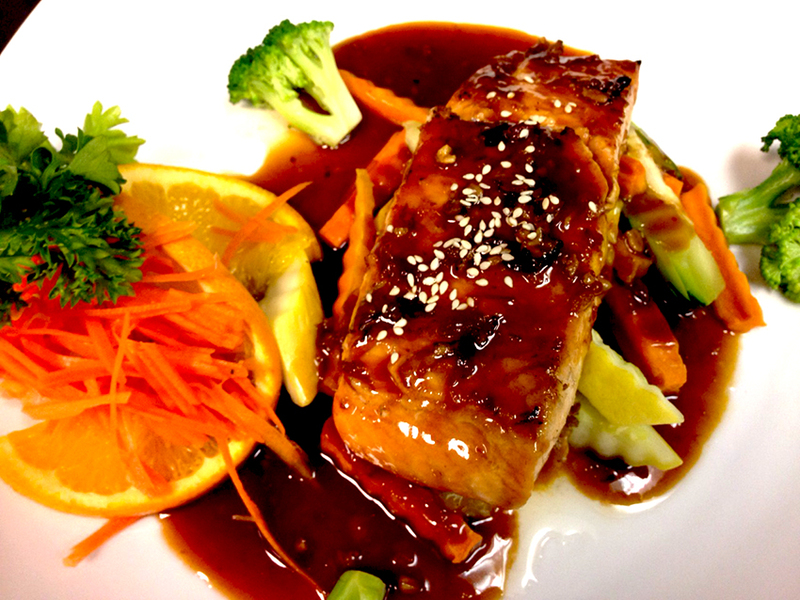 Grilled salmon glazed with teriyaki sauce, served with steamed vegetables.